When you create an ECN by BAPI CCAP_ECN_MAINTAIN, you can see there are some different comparing with when you create an ECN by Tcode SC01. The object types list looks not the same. So you can combine BDC technique and BAPI to correct this error. 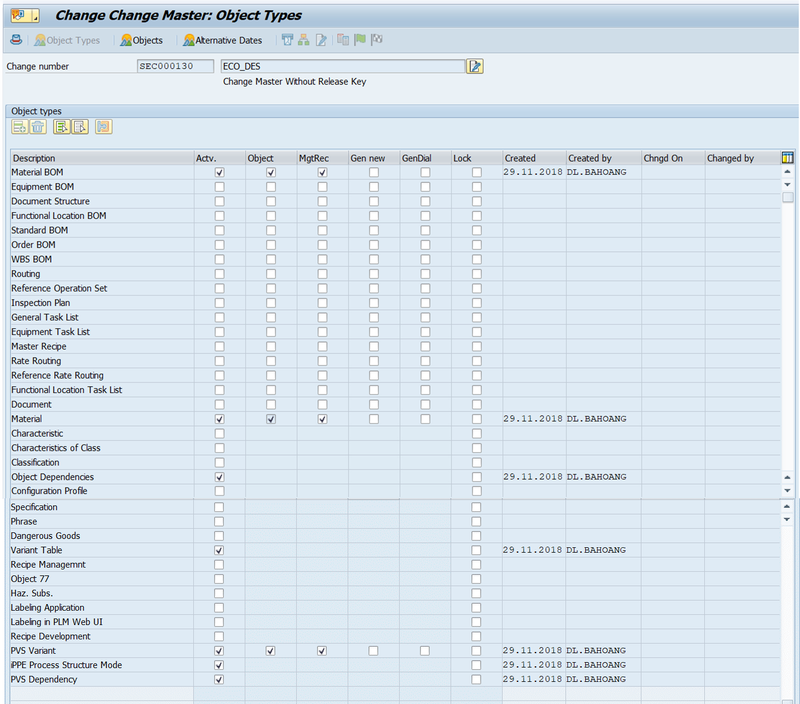 First you create ECN by BDC, then use BAPI to update Long Text and other fields. You can see they are not exactly the same. 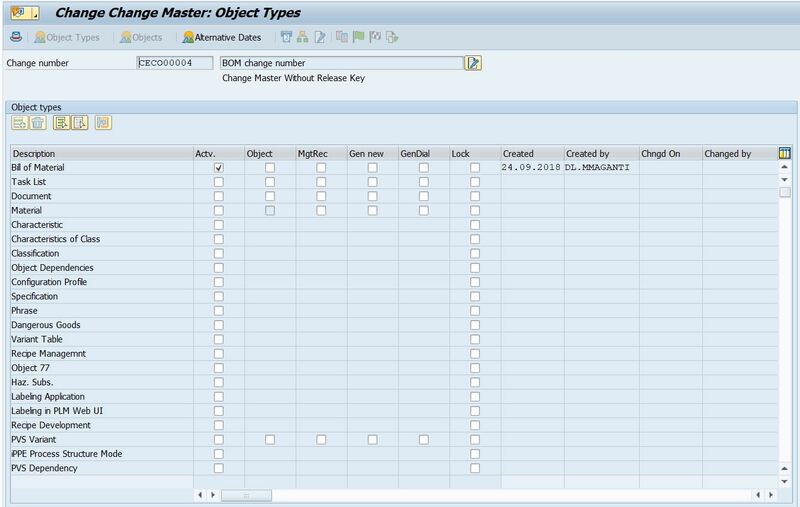 You need to create an ECN (Change Master) use a default Profile to define Object Types based on that profile. PERFORM OPEN_GROUP      USING GROUP USER KEEP HOLDDATE CTU. PERFORM BDC_DYNPRO      USING 'SAPMC29C' '0100'. PERFORM BDC_DYNPRO      USING 'SAPMC29C' '0010'. PERFORM BDC_DYNPRO      USING 'SAPMC29C' '0020'. LV_LEN = STRLEN( IM_MAT-Z_COMMENT ). LV_LINE = SUBSTRING( VAL = LV_COMMENT OFF = 0 LEN = 72 ). SHIFT LV_COMMENT BY 72 PLACES LEFT. LV_LEN = STRLEN( LV_COMMENT ). LOOP AT LT_TCC18 INTO DATA(LS_TCC18). IF IM_TEST = ABAP_TRUE . It is ok if you run BAPI “CCAP_ECN_MAINTAIN” to update ECN, but when you create ECN by using that BAPI, somehow program ran incorrect. Therefore, you can combine BDC and BAPI to fulfill the requirement. If you have any question, please leave your comment below. Thank you. Thanks Rossi. That’s why i use both BDC and that FM to make it works. If you create a BDC for SC02, it’s very difficult to update object types because of its order and its values change all the time. But do you have any suggestion for this situation? Do you use another FM? Nope. I just wanted to know your opinion about this SAP note. It seems that we don’t have a choice other than doing batch input. Good job!